Placed on the rarely traversed Williams Island, this geocache presents unique challenges to reach, and should only be attempted in the spring/summer months (i.e. not the dark season). This cache is in place sight, stored in an orange spray-painted ammobox located on the northern area of Williams Island. The choice to place the cache on this island was due to the difficulty involved in making it to the island, so that seasoned geocachers in Alert would still find a challenge. 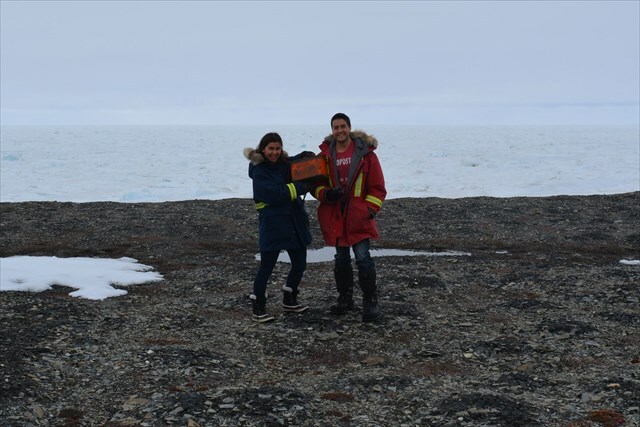 Taking a boat out in the summer, or hiking out over the ice in the early spring are the recommended ways to reach Williams Island (although helicopter rides in the early summer are possible too!). Be aware that some digging through snow may be necessary if hiking out to the cache in the springtime. Marking locationGetting the geocache's location set up and marked. 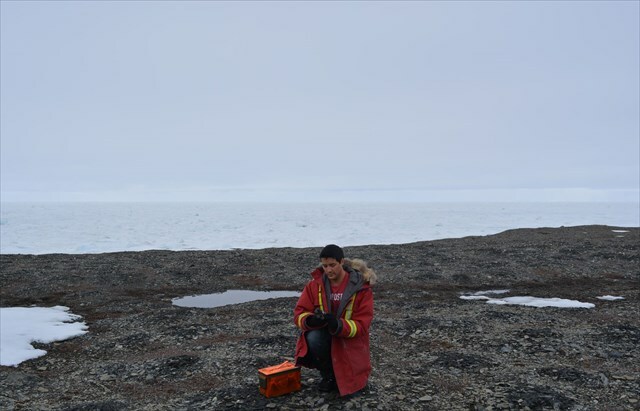 Setting upGeocache set up on June 16th, 2015, with a view of the Arctic Ocean full of ice, stretching off into the horizon.